I love Nicole, looks perfect! All awesome, especially the pink one, it's gorgeous! Gorgeous swatches! You picked good color combinations. Pretty! Your colors compliment the glitters so much. São lindooooosss.... eu comprei o Cristina e vou testar este fim-de-semana! wow! they look soo good, i love the way you paired them with the base colours! I can't pick which one I like more! 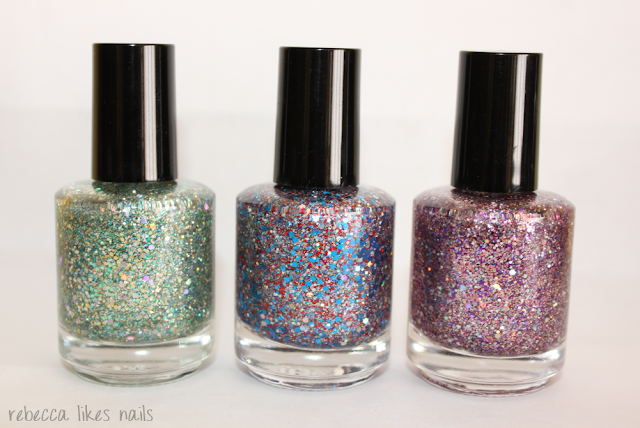 They're all really gorgeous glitters. Pretty! These are great combos!